The Election Commission has allotted 'gift pack' as symbol for candidates of the T T V Dhinakaran-led Amma Makkal Munnetra Kazagham for the coming Lok Sabha elections and assembly bypolls, the AMMK said Friday. In a tweet, the party leader TTV Dhinakaran thanked the poll panel and termed the symbol "wonderful". "Thanks to the Election Commission of India for allocating the wonderful symbol "gift pack" for all the 59 candidates as per the order of the Hon'ble Supreme Court of India," he tweeted. "Till yesterday we were sitting at SC's doorstep for symbol. Only after the SC instructed, EC sent a list of 36 symbols. 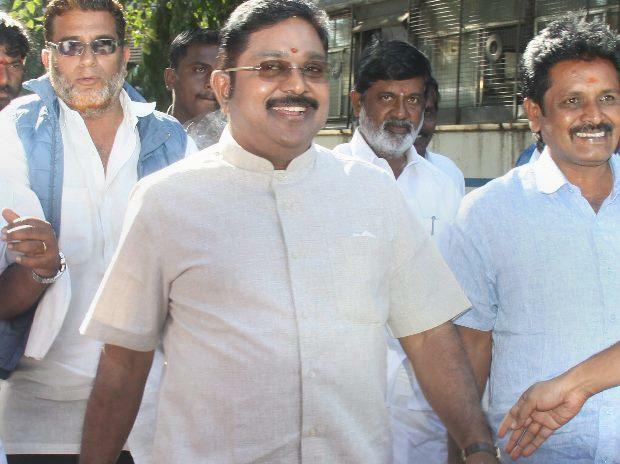 In that, all the 35 were not worth picking," Dhinakaran said addressing the crowd. Only one-- 'gift pack'-- was impressive, and immediately I picked it so as to ensure not to lose it, he added. Dhinakaran accused the ruling AIADMK and the opposition DMK of plotting to crush him in the political space. "I do not understand why they are doing this. We are a democratic party trying to work for the people of Tamil Nadu. They are not even ready to allot even a symbol," he said. Early this week, the Supreme Court had refused to acknowledge the AMMK's claim over 'pressure cooker' as a common election symbol, saying the party was not a registered entity. The apex court, however, had directed the EC to consider granting common free election symbol to the AMMK candidates for the Lok Sabha polls and assembly by-elections in Tamil Nadu and Puducherry. Dhinakaran had won the December 2017 RK Nagar by-poll, necessitated by the death of then sitting MLA and former Chief Minister J Jayalalithaa, on the 'pressure cooker' symbol.